This 2018 Jeep Wrangler Unlimited Sahara is proudly offered by Cowboy Chrysler Dodge Jeep Ram Want more room? Want more style? This Jeep Wrangler Unlimited is the vehicle for you. Simply put, this Four Wheel Drive is engineered with higher standards. Enjoy improved steering, superior acceleration, and increased stability and safety while driving this 4WD Jeep Wrangler Unlimited Sahara. 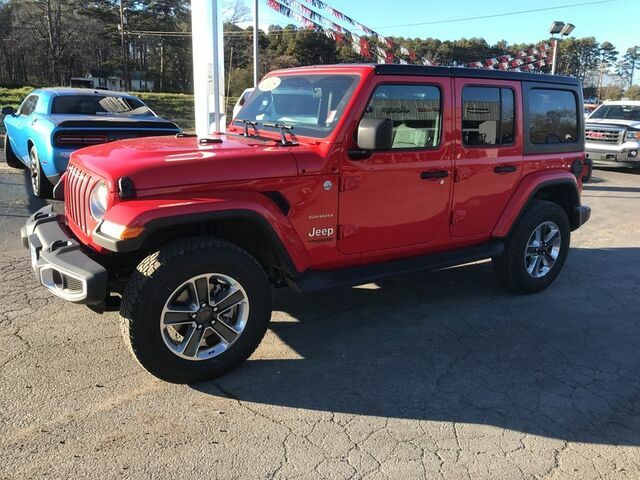 Based on the superb condition of this vehicle, along with the options and color, this Jeep Wrangler Unlimited Sahara is sure to sell fast. Just what you've been looking for. With quality in mind, this vehicle is the perfect addition to take home.